At Encore Consign + Design, we have become Coachella Valley’s leading resource for interior design. Our expansive design studio spans over 23,000 square feet and is filled with some of the most beautiful home furnishings in the area. We have a vast network of connections to reputable interior designers than can help you decorate your home with beautiful, yet practical home furnishings to make creating your dream home a breeze. At Encore, we are proud to offer different levels of design services. Each and every member of our staff has a plethora of design experience and can help assist you in your shopping experience. We can help stage the home furnishings you like in our showroom so you can see the finished product before making any commitments. If you are looking for something more detailed, we can refer you to a local, reputable interior designer to come into your home and help you create a beautiful and functional space. 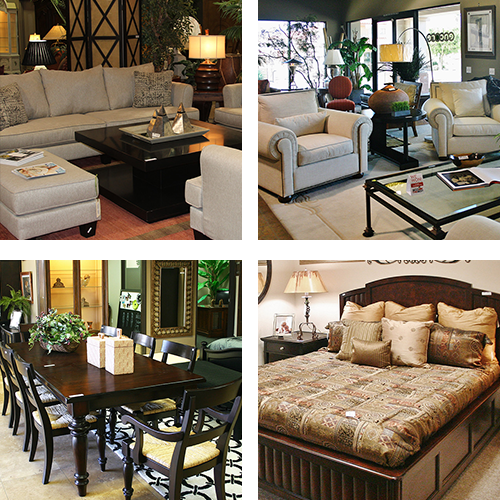 From the moment you walk into our furniture showroom, you will notice a difference. Our showroom spans over 23,000 square feet and is filled with a collection of beautiful, yet practical home furnishings and decor items. We cater our showroom to a variety of styles and budgets to ensure you will find exactly what you need to make your house a home. Our design staff is eager to help you transform your idea into a beautiful reality. If you are looking for a shopping experience unlike any other, we invite and encourage you to visit us today.